Jessie grew up in the farming community of New Ross and was always around animals. Her passion for helping animals and her interest in the medical field logically drew her to a career in veterinary medicine. 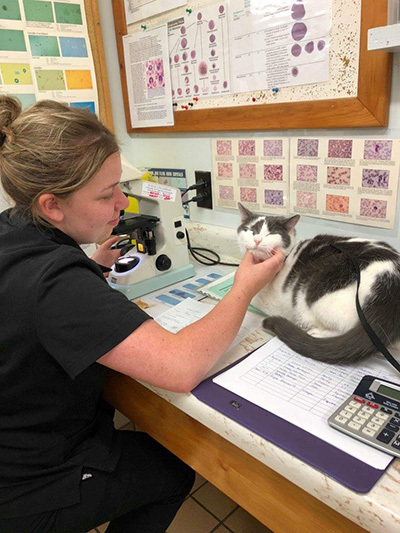 Jessie began her career with Cornwallis Vets in 2016 and received her certification as a Registered Veterinary Technician in 2018. Jessie Currently resides in Kentville with her cat “Whiskey” and enjoys swimming, hiking, drawing, four-wheeling and travelling.